Your smile begins with an initial consultation! The first visit at the dental office can be intimidating for some however this will not be the case at Petty & Dragstrem Orthodontics. You can expect to be treated like family from day 1. This time allows you to meet with our doctor one-on-one to discuss your concerns and answer your questions. Our doctor will determine if treatment is indicated and if so what options are available to you. We will review your medical and dental history forms. That will help us understand if there are any medical or dental issues that may require modifications of your treatment. Take photographs of your teeth and face. We use those help you visualize the issues we see. Take one or two radiographs of the teeth and jaws to determine any jaw discrepancies or evaluate erupting teeth. 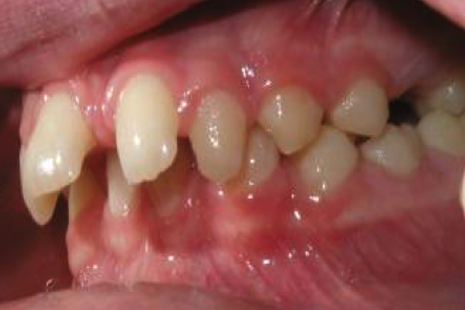 Carefully examine the teeth and jaws for a wide range of possible orthodontic problems. A customized plan that addresses your unique needs will lead to the results you want. We’ll discuss: why treatment is or is not indicated, an estimated length of treatment time, and the cost including insurance and payment options. If our doctor decides your child is not ready for treatment yet, we will give you an estimated timeline for future care and discuss the importance of regular growth checks during the monitoring phase. READY FOR BEAUTIFUL AND HEALTHY SMILES? A: Orthodontics is a specialized form of dentistry focusing on the diagnosis, prevention, and treatment of dental and jaw abnormalities. Q: What age should I/my child see an orthodontist? A: The American Association of Orthodontists recommends that children first visit an orthodontist around the age of seven; however, orthodontic treatment is not exclusive to children and teens. If you want to improve the look and feel of your smile, then any age can be a great age to see the orthodontist. A: Most tooth and jaw alignment problems can be completed in one phase of orthodontic treatment. However there are a few cases when an early treatment (phase I) is indicated and then followed by a second phase later on when all adult teeth are present. Our doctor can help you decide if early treatment is indicated for your child. A: Dr. Petty and Dr. Kristie provide a full range of advanced orthodontic treatment solutions tailored to your unique, specific needs. Our services go beyond traditional metal braces to include esthetic self ligating clear braces and Invisalign® clear aligners for ALL ages. Schedule your complimentary consultation to find the treatment that best suits your needs. Q: Duration - How long do I wear them? A: The amount of time spent in treatment will vary depending on the severity of the orthodontic problem, how well you wear your elastics and keep your appointments, and how your teeth respond to movement. Treatment time can vary between 9 and 30 months with most people finishing around 22 months. A: The cost of treatment depends on severity of the orthodontic problem, the treatment modality, and your insurance. Schedule your consultation to determine what treatment options and payment options best fit you. Q: Will my teeth straighten as I grow? A: Typically the space for teeth aligning decreases with age so that teeth will become even more crowded or overlapped with time. Q: Can I go back to school after appointments? A: Yes, you can keep your regular schedule following all appointments even after the braces are placed initially. Feel free to eat immediately after your appointments. Q: Do I still need to see a dentist? A: Yes! Its very important to visit your dentist regularly while receiving orthodontic treatment because braces tend to accumulate more food and plaque and if they are not brushed away properly this build up can lead to gum disease and cavities. We recommend seeing your dentist for check ups and cleanings every 3-6 months and we will work with your dentist to make sure your teeth stay clean while they straighten! Q: How often do I need to come in? A: We will see you for check ups every 4-8 weeks. With braces, we will change your colors and wires at these adjustment appointments and with Invisalign™ we will be giving you your next set of trays. It is very important that we see you regularly so that we can monitor your progress and make sure you stay on track for finishing. A: Orthodontic treatment should not be painful although it is normal for your teeth to feel sore as they start straightening (day 1!). You may feel a small amount of discomfort while your teeth, cheeks, and lips get used to something new in the mouth. Nothing more than over-the-counter Tylenol or Ibuprofen is recommended while you adjust. Q: Can I still play sports and musical instruments? A: Orthodontic treatment will not stop you from playing an instrument or participating in school activities. There may be an adjustment period while you get used to playing with braces or Invisalign™ however most patients adjust within a week. We recommend a braces specific mouthguard for contact sports. Q: How do I clean my teeth with braces? Make sure you use a toothpaste that contains fluoride to prevent cavities. You can use a manual or an electric toothbrush and many patients like using a waterpic to help clean between teeth. We will show you how to use floss threaders to properly floss between teeth. A: Simply call our office or submit an appointment request form. Q: Do I need a shot to have braces placed? A: No needles in our office! Braces are placed on the teeth with special adhesive that sets up with light. The whole process takes about an hour. Orthodontic treatment is the best investment in the overall dental, medical, and psychological well being of children and adults. For that reason, we will NOT let financial considerations be an obstacle to obtaining the care you desire and more importantly, you deserve. Why, because we know YOU’RE worth it! Our treatment coordinator will give you several flexible payment options to make it work for your personal financial needs. We participate in many insurance plans and to maximize insurance benefits, we file all claims on your behalf as a courtesy to our patients. The American Association of Orthodontists recommends children to have an initial screening appointment at age seven. This does not mean your child needs treatment at this age! It is simply a good time to check on growth and development of the jaws and get a baseline for any potential future orthodontic problems. Early treatment (or Phase 1) allows us to take advantage of jaw growth modification and make space for incoming adult teeth possibly preventing more aggressive treatment modalities such as extractions or surgery that would be required after growth. The majority of kids we evaluate do not need early treatment and we will continue to monitor the eruption of adult teeth. These growth checks are complimentary and allow us the opportunity to let you know if and when your child is ready to start so that they are in treatment for the shortest possible time! Why should your child have orthodontic treatment? Straight teeth are healthy teeth – Properly aligned teeth allow better access and cleaning with brushing and flossing which may prevent cavities and gum problems in the future. A beautiful smile builds confidence – We know how important self esteem is in adolescents and orthodontic treatment can help boost self-confidence for a brighter future. A smile is the first thing someone notices and we want to give kids freedom to smile without holding back! Untreated bite or tooth alignment problems can get worse and lead to costly health issues in the future – Fortunately kids and teens are still growing which allows us to take advantage of moving teeth and guiding jaw growth for the healthiest bite with the least amount of complications. Today, orthodontic treatment is a big part of life for many adolescents. While they may have had a bad reputation in the past, today’s options make it easy for kids to look and feel good. We offer metal braces, clear braces and Invisalign® Teen so schedule a consultation to determine which treatment fits your child’s needs! The number of adults seeking orthodontic treatment is rapidly increasing. The American Association of Orthodontists reports that one in five patients is over the age of 21! Some people never had a chance to have treatment as kids and teenagers. Others have had treatment in the past but have experienced some degree of relapse. Adults understand the importance of maintaining their health and we can solve issues that have been making you self conscious for years — there are no age limits for orthodontic treatment. No matter the issue, our doctor will listen to your concerns and present you with options, including more esthetic treatment options such as clear braces and Invisalign® that make orthodontic treatment even more appealing to adults. A desire for a more healthy and confident smile!